Even the best cops burn out. 23 Shades of Black’s Filomena Buscarsela returns, having traded in her uniform for the trials of single motherhood. Once a cop, always a cop. She may have left the Department, but Filomena’s passion for justice burns as hot as ever. And when the owner of her neighborhood bodega is murdered—just another “ethnic” crime that will probably go unsolved and unavenged—Filomena doesn’t need much prodding from the dead man’s grieving sister to step in. Secretly partnered with a rookie cop, she hits the Washington Heights streets to smoke out the trigger-happy punks who ended an innocent life as callously as if they were blowing out a match. From the labyrinthine subway tunnels of upper Broadway to the upscale enclaves that house the rich and beautiful, from local barrio hangouts to high-priced seats of power, Filomena follows a trail of dirty secrets and dirtier politics, with some unexpected stops in between. In a town big enough to hold every kind of criminal, crackpot, liar, and thief, from ruthless gangsters to corporate executives drunk on greed and power, she tracks a killer through the city’s danger zones. 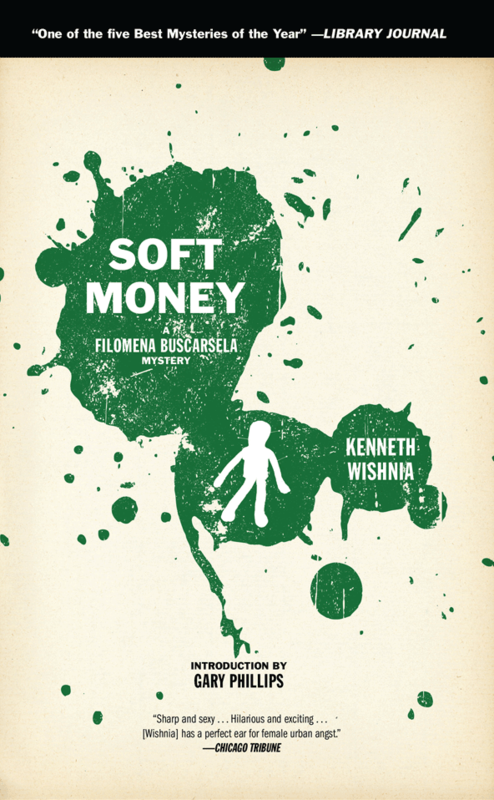 Soft Money is the second of Kenneth Wishnia’s novels featuring the irrepressible Filomena Buscarsela. All five—including 23 Shades of Black, The Glass Factory, Red House, and Blood Lake—are being reissued by PM Press in definitive editions with new introductions and extra stories. His latest novel is the historical mystery The Fifth Servant. Send a review or message to Kenneth.